Home base: US Naval Academy, Annapolis, Md. Meal plan: “I have to try Lucali pizza in [Carroll Gardens]. Jay-Z and David Beckham go there — and it’s supposed to be the best pizza ever. 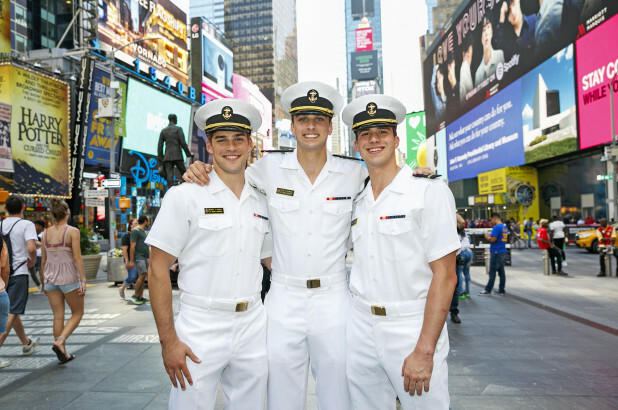 US Navy divers show how it’s done in a dive tank in the middle of Times Square. Check out their gear and take lots of selfies. Free. Saturday, 10 a.m. to 5 p.m. Plaza between 43rd and 44th streets. 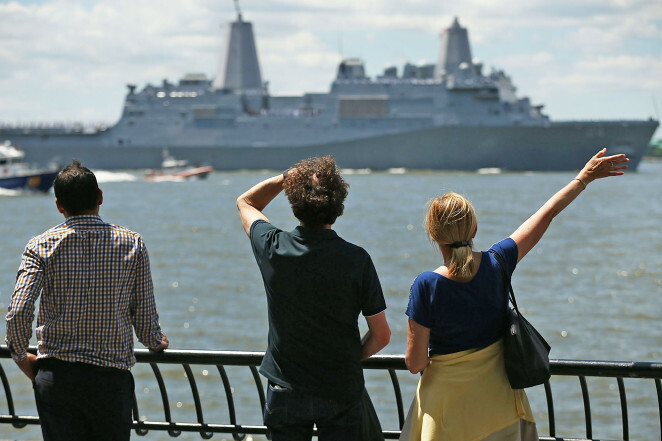 A dozen combat ships, Coast Guard cutters and other military vessels will dock at three boroughs in the city this weekend — and all will welcome the public to come aboard for tours and inspection. Free. Saturday, Sunday and Monday, 8 a.m. to 5 p.m. at Manhattan’s Pier 90 (at West 50th Street), Brooklyn Cruise Terminal (72 Bowne St., Red Hook), and Homeport Pier (305 Front St., Stapleton, SI). 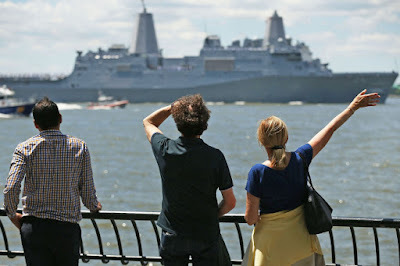 Liberty State Park turns into a military base for this festival celebrating all things maritime. Watch sailors go from a helicopter into the water, members of the Coast Guard enact a search and rescue mission, and tank divers defuse an explosive underwater. Free. Sunday, noon to 5 p.m., Liberty State Park, Jersey City, NJ. Commemorate the Harlem Hellfighters, an African-American regiment who served in World War I, along with student musicians from historically black colleges who will perform jazz and blues tunes popular during WWI. Free. Sunday and Monday, 1:30 p.m. at the Intrepid Museum Complex, West 46th Street at 12th Avenue.